IBM will invest $1 billion to promote Linux development over the next five years as it tries to adapt Power mainframes and servers to handle cloud and big data applications in distributed computing environments. The investment, expected to be announced at the LinuxCon conference in New Orleans this week, will fund Linux application development programs for IBM’s Power servers and also be used to expand a cloud service where developers can write and test applications for Power servers before deployment. The investment will also facilitate software development around IBM’s new Power8 chips, which will go into servers next year. 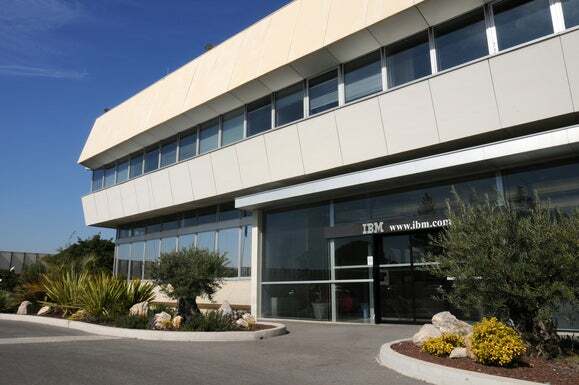 IBM is also adding a Power Systems Linux Center in Montpellier, France, where developers will get access to Power chip and server technologies to develop and deploy Linux applications. The company already has similar centers in Beijing, New York and Austin, Texas. Linux is the OS of choice for cloud and big data deployments in data centers, said Doug Balog, general manager of Power Systems at IBM. “As we look at our current clients, with Linux I want to leverage what they have developed for years and bring these new ... capabilities,” Balog said. The investment will be applied to Linux development by clients, developers and students, though IBM did not elaborate on how the funds will be made available. IBM expects code contributions in applications such as OpenStack, a distributed computing environment that deals with processing of large data sets over a network of servers. IBM’s homegrown Power hardware is best known through the Linux-based Watson supercomputer, which outperformed humans in the televised game show “Jeopardy.” Power chips have been traditionally used for demanding applications such as financial transaction processing, but IBM believes the chips are flexible enough to handle cloud computing and analytics through features that quickly gather, manage and analyze data. IBM also hopes to rope in more Linux developers to remain competitive against companies such as Hewlett-Packard and Dell, whose x86 servers are widely used in cloud and analytics deployments. IBM also makes x86 servers, but believes Power can transcend from mainframes into general-purpose servers. IBM has already invested millions of dollars in Linux development over more than a decade. The latest announcement follows IBM’s decision last month to open up its Power chip architecture and license it to third parties that want to build servers and components based on the processor. IBM hopes Linux will make Power8 attractive to third parties that want to build non-x86 servers. The first Power licensees of Power include Google, Nvidia, Mellanox and Tyan, who joined IBM as part of a new development alliance called OpenPower. IBM hopes to expand OpenPower as part of the $1 billion [B] investment. IBM will continue offering Power servers, with an upgrade to Power8 due next year. The Power8 chip architecture has new technologies compared to its predecessor, Power 7+ and IBM also hopes developers will write applications that take advantage of the new hardware. The architecture’s new technologies include the PCI-Express 3.0 protocol, shared memory and a new CAPI (Coherence Attach Processor Interface) for outside components to communicate with the CPU and other processing units. The increased focus on Linux raises questions about the future of AIX, but Balog said the Unix OS remains targeted at higher-end applications. The Linux investment could potentially bring the flexibility for existing Power-AIX infrastructures to handle new cloud and analytics workloads, Balog said. AIX and Linux are already cross-compatible at the virtualization and system management levels, so servers with the different operating systems can coexist in a data center. “AIX is too important to my client base and long-term strategy,” Balog said, adding that the company has billions of dollars invested in the OS, and will continue to invest in it. Linux was the least important operating system to IBM on the Power architecture and it was treated as a stepchild, said Al Gillen, program vice president for system software research at IDC. “What has changed is the Unix market has been in a nosedive and while IBM has successfully captured some significant share from competitors in this contracting market, it is still a declining business for IBM. As a result, the company has concluded that it needs to readjust its investment to reflect where the growth opportunity is [Linux], rather than where the growth opportunity used to be [Unix],” Gillen said in an email. It’s not clear where IBM’s $1 billion investment will go, but the money could be applied to improve Linux on Power, development of hardware architecture, and porting kernel-based virtual machine to Power. However, the investment will not directly benefit the greater Linux community relying on x86 servers, Gillen said. “That said, there also are likely to be other investments that IBM is making that do benefit the larger Linux community. For example, any work IBM does to increase the performance or scale of the base Linux operating system likely benefits all Linux users,” Gillen said. Hardware makers are focusing more on customizing software to take advantage of power, performance and instruction-set features on specific chips. Intel, which is a big contributor to Linux, offers a version of Hadoop for IT administrators who want scalability in their x86 server infrastructures to deal with large amounts of data. Oracle is customizing its database, cloud and other applications to work with Solaris OS and Sparc chips.